The children wanted to host their very own 'Christmas Cafe'. We wrote to local businesses and parents to request donations. We devised a menu, shopping list and rough costings. We created posters, flyers and thank you cards. We decorated table coverings and made a Christmas music playlist. We had lots of donations, including some delicious freshly baked mince pies from our school kitchen, toffee cake squares and carrot cake squares from The Village Bakery and delicious baked donations from many of our children and their families. 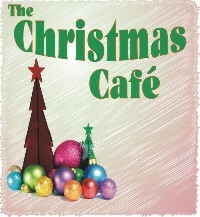 Our cafe was a great success, we welcomed many adults and children through the doors and raised just over £60! THANK YOU TO ALL THOSE WHO SUPPORTED US!